Looking for a fun way to practice the short O vowel sound? Assess your students' short vowel sound knowledge with a fun interactive game and send home informational letters to parents! 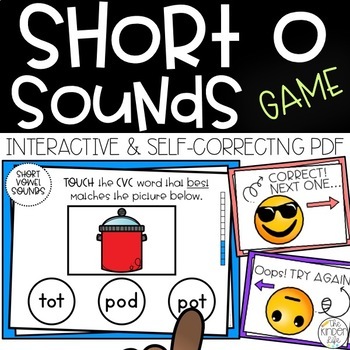 This interactive PDF game asks students to match picture with the correct Short O CVC word and is self-correcting! LOVE THIS and want to SAVE $$?! CHECK OUT THE BUNDLE! This game will ask students to TRY AGAIN when they click the wrong answer and MOVE them to the next word when they answer correctly. Students can play this game independently OR display it on a SMARTBoard for a whole class activity! Perfect for independent work, small group, early finishers, and more. In addition to this PDF game, I have included an easy printable to use this game as an assessment tool, data tracking sheets, a parent letter, and take-home game! Check out the PREVIEW to get a closer look inside this game! • TRY A NUMBER MATCHING PDF GAME FOR FREE! This is an interactive PDF game! First, I would suggest downloading this ZIP file onto your computer (so you can open the ZIP and access all the goodies inside) and then emailing the PDF GAME ONLY to the device you plan to use! *You will need access to the internet to download this file from TPT, but after it is downloaded you will NOT NEED INTERNET ACCESS to play this game! ANY DEVICE THAT CAN OPEN A PDF CAN BE USED! OPTIONAL WAY TO SAVE AND DISTRIBUTE: I save the PDF to MY computer and then email it to myself. Then, I open up my email on the device I want to use and download it from my email. *Since I have been using an iPad, I have been saving these games as an iBook, but you can use any PDF reader! 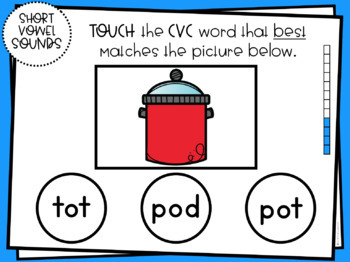 -Students will match each picture to the correct CVC word on each slide! If they touch the correct word, they will move to the CORRECT SLIDE. If they touch the incorrect word, they will move to the TRY AGAIN slide. -Students will click the ARROWS to go back and TRY AGAIN or move forward to the NEXT slide. -A progress bar is shown to help students know how close they are getting to the end! 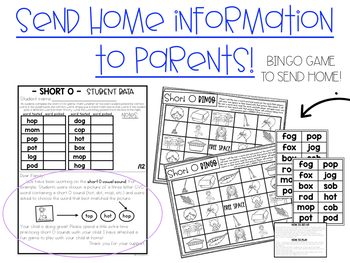 • Assessment: Track data and send home data to parents! 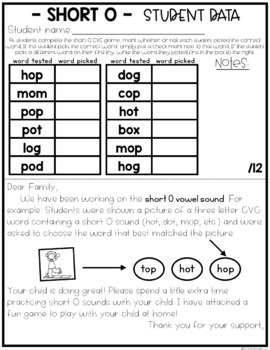 • Whole Group or Small Group: Use on the SMARTBoard! • Center Time: Set this game up as a literacy center! • Independent Work: Have students practice during independent work time. Great for early finishers too! • FAST FLUENCY: Give students a sand timer and see if they can get through the game before the sand runs out! ❤️Love this? Check out these! ★Want TPT credit to use on future purchases? • Go to your My Purchases page and next to each purchase you'll see a PROVIDE FEEDBACK button. feedback credits that you can use on your future purchases.I read ALL feedback! ★Want to get my new products 60% off?! All new products are on sale for the first 48 hours! ★LOOK for the green star next to my store logo and click it to become a follower! Woohoo! Now you will receive email updates about my store.